Well this tag was clearly just made for me! I have seen this floating around the blogging and youtube world for months but for some reason I haven't yet done it - god knows why? I LOVE Disney, I think everyone knows that and I was so happy when last week Charlotte from Jotlotte tagged me to join in! So here I am, sat armed with my Disney filled brain and with a pretty cool Mickey top ready to answer these quick-fire questions! Jeeez, have to started with the hardest question don't you! I have so many it would probably be easier to tell you which ones weren't my favourite! If it came down to it though I would probably pick a classic like Beauty & The Beast. I love that movie so so much and it brings back lovely memories of watching it as kid! Another toughy, I have so many characters that I love - and they are usually the funny ones! Genie, Olaf, Lilo.... but I am a major princess lover - Belle, Rapunzel, Anna, Elsa, Jasmine, they are my kinda girls! Belle, Belle, Belle. I love her. I recently mentioned her in my Childhood Female Icons post. She has always been my favourite, when I was younger I loved that she wasn't like the other girls (falling for the douche Gaston) and was a massive bookworm! I'd say Aurora.... I know she is asleep alot... but I'd kind of like that lol! Shew grew up with 3 fun fairies looking after her in a cute cottage.... compared to Cinderella that's pretty cool! Also... I'm pretty rubbish at cleaning so wouldn't do very well at being Cinderella! Hands down Hercules! I love that movie - your parents are gods and lets be fair... Meg is alot cooler than Jane! Raven Baxter! She can see the future .... and is hilariously sassy - so definitely Raven! "Oh Snp! Ya Little Nasty!" I love Belle - the opening of BATB "Marie! The Baguettes! Hurry Up!" - it makes me happy! My iPod is honestly FULL of Disney songs, I have more or less all the soundtracks, I am obsessed, could listen to Disney songs all day, both old and new! Ahhh that's so hard to choose, would love the Genie as he is hilarious and Anna because, well she's awesome! Well this is easy... Stitch! He is so cute! I went to Disneyworld, Orlando in 2012 and am going back this September! It was always a dream of mine to go so to be able to with my best friend when we went round America was literally a dream come true - words can't explain how much I loved it! So.much.fun. - I cannot wait to go back! I tag ALL you Disney lovers - I know there is SO many of you! ahh this is the most amazing tag! I am a HUGE disney person, i literally live surrounded by mugs, stuffed animals, posters etc. You and I would have very similar answers BATB and Belle are my absolute favourite. Im so envious of you though! 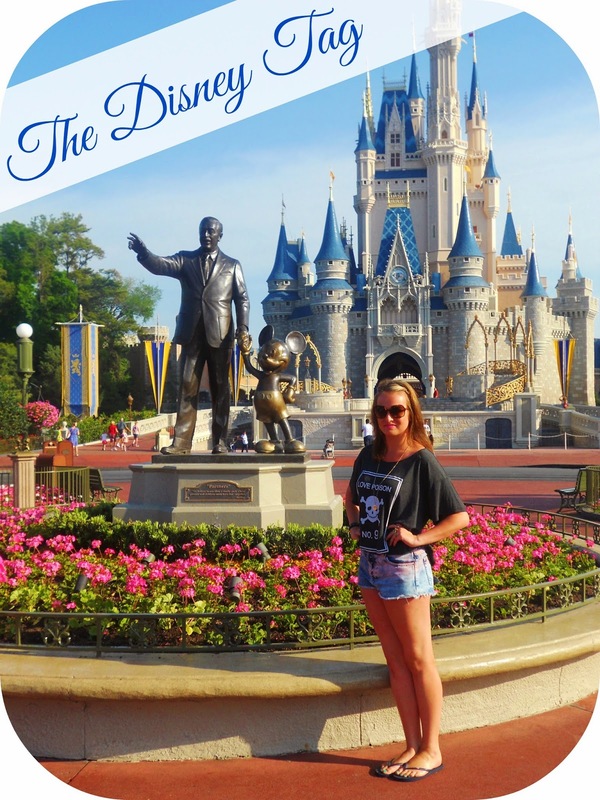 I've never been to disney and it would be a dream come true! My blog name is even disney inspired, it means the beauty mermaid because I literally think i was meant to be ariel. This tag was made for you haha! Eeeeeek, I love Disney - Lion King is by far my fave! Ahhh so envious you're going again this year! I went last year (for the first time in 15yrs!) and I'm going to Disneyland Paris this Friday for my birthday. First time although I can imagine myself comparing it to Florida as much as I don't want to! Have you been to the Paris one?